I have noticed that many beaders are also kumihimo enthusiasts. 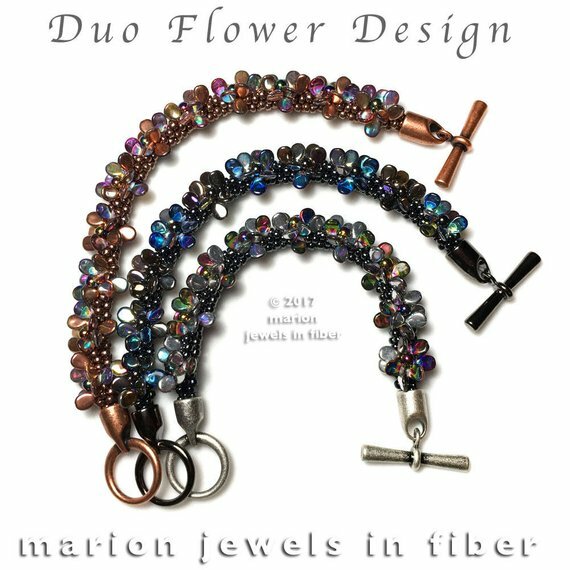 If you are one of these, you should check out Swiss born, California-based bead artist, Marion Hunziker-Larsen's JewelsinFiber store. 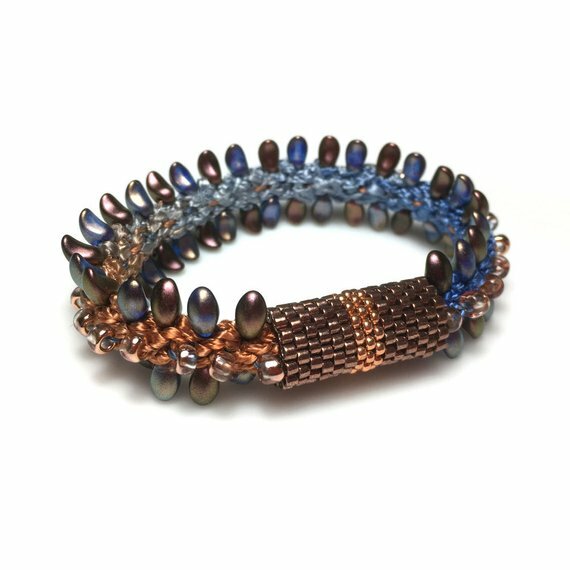 This multi-talented designer offers beautiful kumihimo, crochet and other tutorials with and without kits. 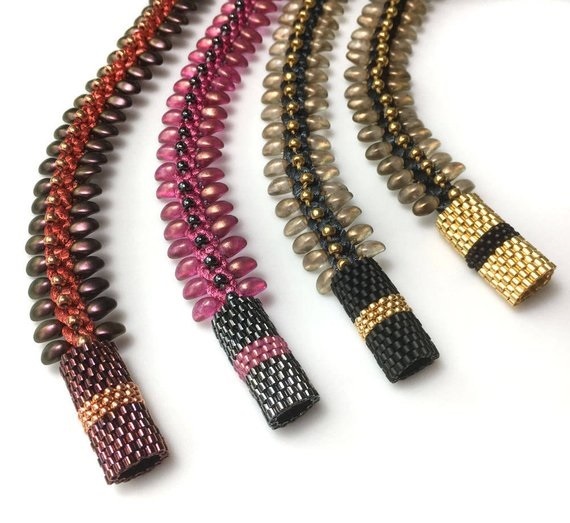 What first caught my eye was her tutorial for a bead edged kumihimo (shown above) which comes complete with a peyote sleeve cover for the clasp area. This is suitable even for a beginner. 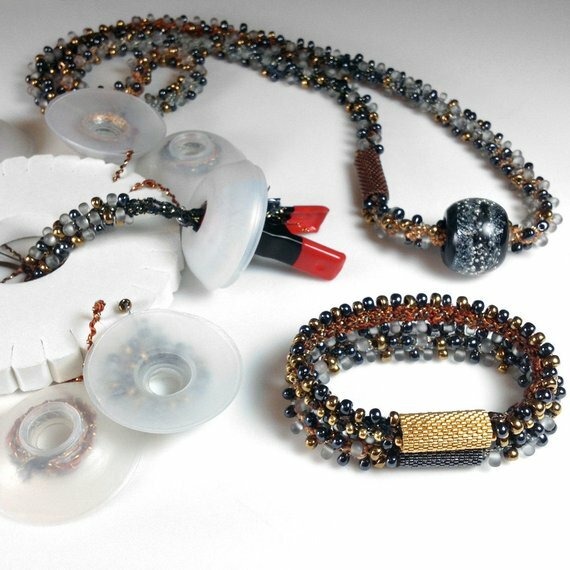 There is also a long magatama beaded kumihimo tutorial. Some of her kits feature beautiful cord. Not everyone is into bead crochet rope. 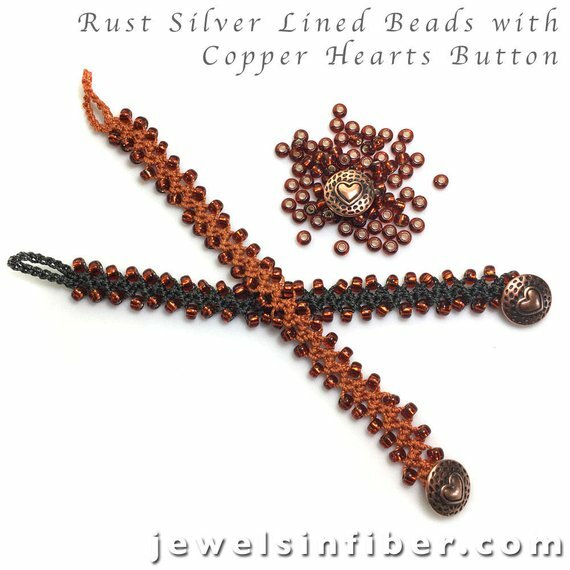 Marion has some great beaded crochet jewelry tutorials. 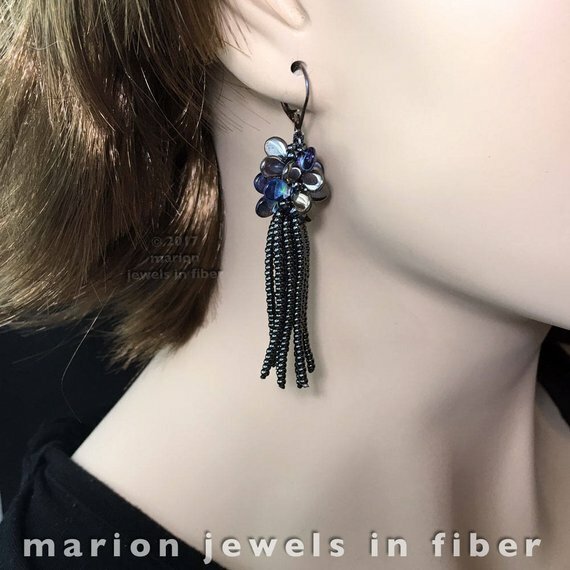 Marion said, "I have been making jewelry with fiber techniques since 1978. 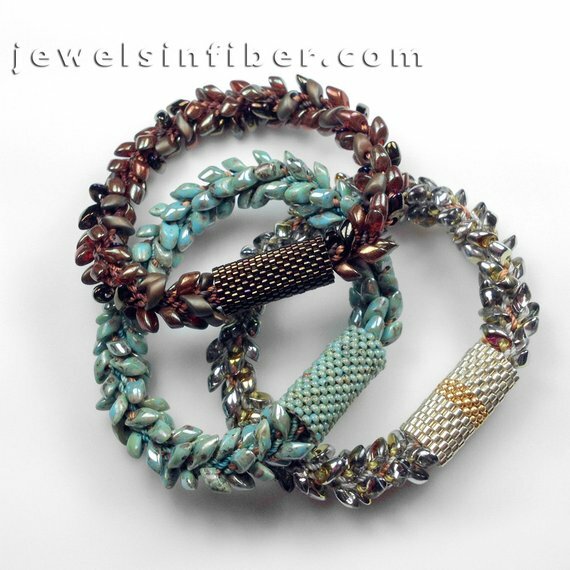 The techniques I use for my jewelry range from Cavandoli knotting with as many as 500 knots per square inch involving many hours of work, to other textile techniques such as cord making, Kumihimo, hand braiding, and crochet. While many of my pieces are labors of love involving many hours of work, others have a few knots, like a zen statement or a haiku." Really a great place to shop. 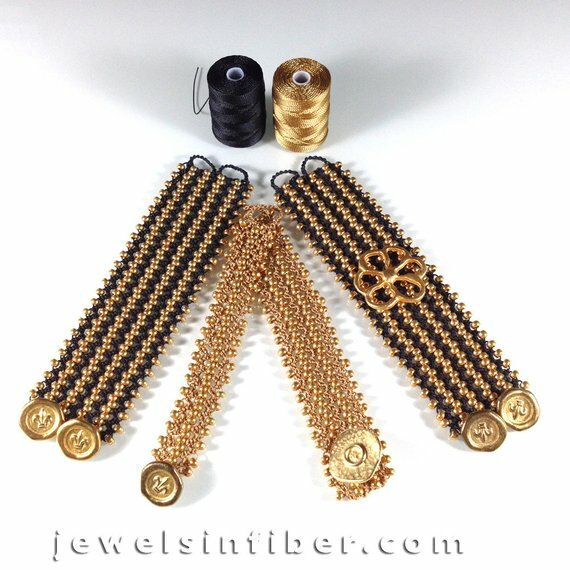 In addition to the Etsy store, you can get a selection of all types of fibers at http://www.store.jewelsinfiber.com/. Many of my kumihimo students bought their threads from her because of the variety, price, and quality. If you are ready to branch out and create something of your own, check out the selection. You won't be disappointed. Thanks for mentioning her fibers! I missed that.